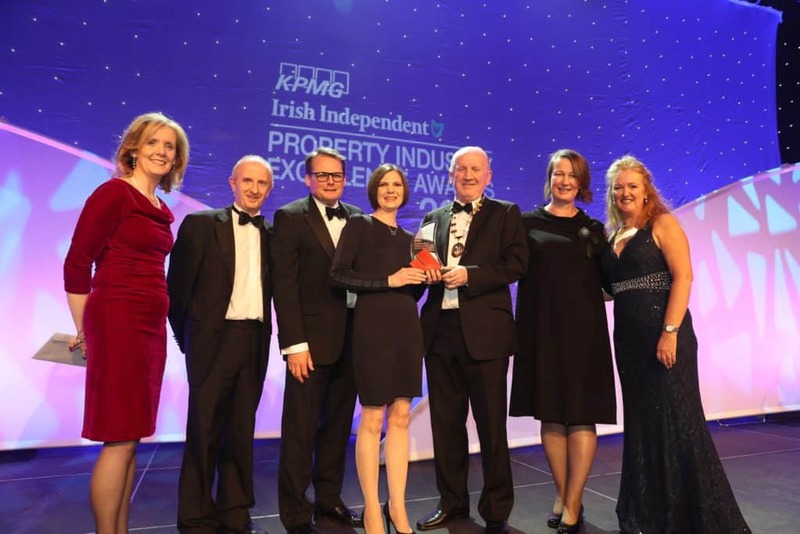 Over 1,000 of Ireland’s leading property professionals turned out at the Convention Centre Dublin on Thursday 8th November last for the KPMG Irish Independent Property Industry Excellence Awards. The awards are endorsed by all relevant professional institutes, representative bodies and State agencies, namely Engineers Ireland, the Irish Planning Institute, Royal Institute of Architects of Ireland, Society of Chartered Surveyors, Construction Industry Federation, Institute of Professional Auctioneers and Valuers, Industrial Development Authority, Dublin Institute of Technology, Office of Public Works and Enterprise Ireland. Monaghan County Council beat off strong competition from other shortlisted nominees of Cork County Council, Cosgrave Developments, Cairn Plc and JNP Architects to win the Excellence in Planning Award. The Plan provides for the development of a new public square, O’Duffy Place, linking Dublin Street to the Lower Courthouse car park. The Plan is an opportunity for landowners and developers to realise the potential of Dublin Street, to improve the range and quality of offer in retail, hospitality and services and will define Monaghan as a shopping and visitor destination. The Dublin Street Regeneration Plan was acknowledged earlier in the year when it won the Irish Planning Institute Design Award, recognising the purpose of the Plan to provide guidance on the regeneration options for the future development of the Dublin Street Regeneration Plan study area to create a sustainable and integrated development approach that would consolidate the town centre, and increase its attractiveness as a place to live, work and visit. The other Property Industry Excellence category winners were: Bredagh Old School (Community Benefit Award), Henry J Lyons Architects (Design Project Award), Kore Insulation (Energy Efficiency Award), JLL (Commercial Agency of the Year), Savills (Residential Agency of the Year), Hibernia Reit (Property Investment/Fund Manager of the Year), Shannon Commercial Properties (Regional Excellence), BAM Facilities Management (Facilities Management), Mark, Andrew and Kelly Cosgrave – Dublin Loft Company (Emerging Talent) and SISK (Contractor of the Year) and also taking the Overall Winner award. Photographed Above Are (L to R): Michele Connolly (KPMG), Donal McElwain (MCC), Kevin Woods (Sheridan Woods Architects & Urban Planners), Máire Cullinan (MCC), Cllr. Brian McKenna (MCC & Municipal District Cathoirleach), Charlotte Sheridan (Sheridan Woods Architects & Urban Planners) and Ali Harvey (Heritage Council).